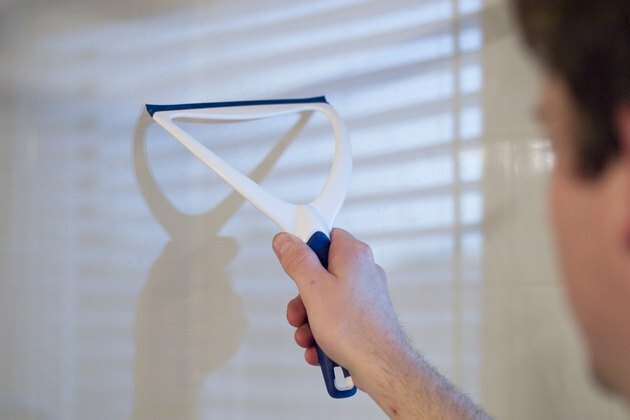 Using a squeegee on your glass shower door every time you use the shower is the easiest way to keep it clean, but busy people -- and those with children -- may need a Plan B. 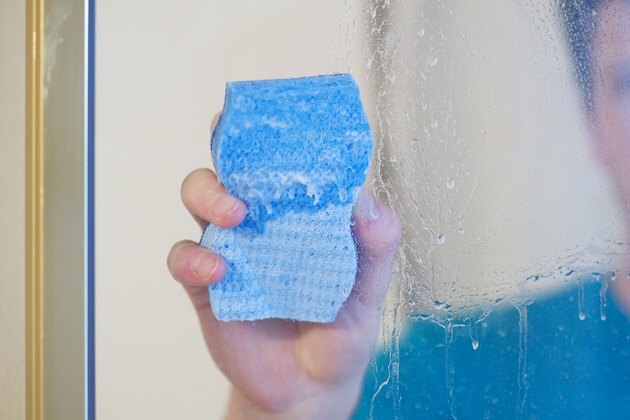 There isn't much in shower water that can permanently damage glass, although mineral deposits and soap scum can resist superficial attempts at removal. The least desirable stains are those produced by mold and mildew, which can have adverse health effects if allowed to proliferate. You don't need expensive products to remove any of these stains -- simple household cleaners will do the job. Pour a cup of baking soda into a bowl and mix it with enough water to form a thick paste. Use a nonabrasive sponge to rub this paste on the door's glass and metal frame, and then rinse it with a vinegar-soaked rag. This treatment easily takes care of soap scum and mineral deposits. Mix a 50-50 solution of vinegar and water, and spray it on the glass with a spray bottle if you just need to remove the white stains left by minerals from shower water. Leave this solution on for two or three minutes; then wipe it off with a rag. Mix a 50-50 solution of chlorine bleach and water to kill mold and mildew, which usually collects around the bottom and sides of the glass. Spray this solution after you have thoroughly rinsed away any vinegar you may have used. Allow this solution to work for five minutes. Then rinse it off with clear water. 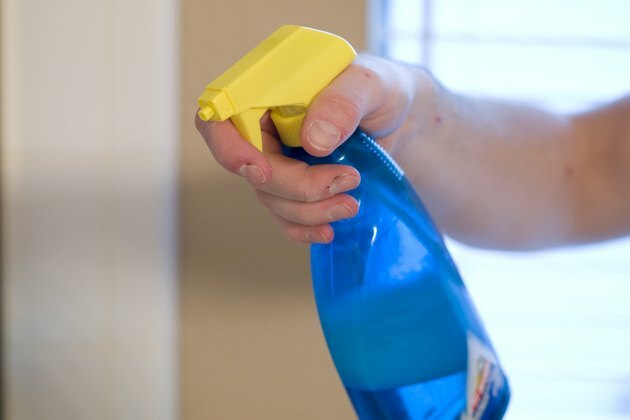 Never mix bleach with any other cleaner, including vinegar, which may produce toxic fumes. Rinse the glass thoroughly with clear water after using any of the above cleaning steps. 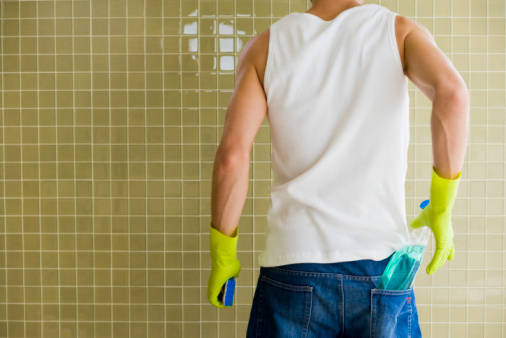 How Often Should You Clean Your Shower?